NEW RULES WHICH will make it easier for bank customers to get information about savings on their mortgages come into force from today. Lenders will have to notify customers 60 days before their fixed-rate term ends and provide details of the new rate and possible other options. Before this lenders did not have to remind customers in advance at all. The 2015 analysis of over half a million mortgages found approximately 16,000 could save over €1,000 in the first 12 months, and around 27,000 switchers have the potential to save in excess of €10,000 over the lifetime of the mortgage. Most people who have a mortgage never switch to a cheaper offer and the Central Bank is hoping this will change under this new regime. The measures were announced by the Central Bank last year, a year of much discussion around the culture of Irish banks and their treatment of customers. It emerged over the course of 2018 that more than 38,000 customers had been overcharged by their banks in what is now known as the tracker mortgage scandal. Some people lost their homes as a direct result of their bank’s actions. The five Irish retail banks are now establishing a “new, independent Irish Banking Culture Board” which they hope will rebuild trust in the sector. The new banking board will be required to publish regular summary reports to measure progress made in its aims of “promoting the highest ethical business conduct in banking” and “driving continuous improvement in culture across the Irish banking industry”. Staff at the five banks will also participate in two UCD-accredited culture programmes. 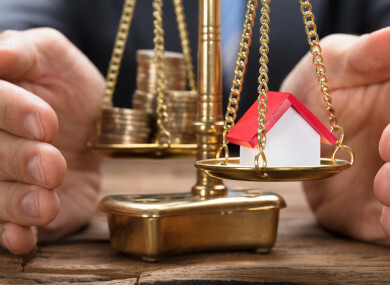 The Central Bank is hoping that the new requirements in relation to mortgage switching will bring increased competitiveness to the market, with better rate offers from banks who will not want customers to switch to another lender. For more information on switching your mortgage, see the advice on the CPPC website. Email “New rules making it easier to switch your mortgage kick in from today”. Feedback on “New rules making it easier to switch your mortgage kick in from today”.